It is suitable for capsule, tablet, big honey pill, candy, liquid(ointment), paste, syringe as well as irregular shape Al-plastic, paper-plastic composite and Al-Al sealing packing in pharmacy, healthcare, food, cosmetics, medical equipment industry etc. This product is a new packing machine designed by our company; it has reached domestic leading level. It is suitable for capsule, tablet, big honey pill, candy, liquid, paste, syringe as well as irregular shape Al-plastic, paper-plastic composite and Al-Al sealing packing in pharmacy, healthcare, food, cosmetics, medical equipment industry etc. 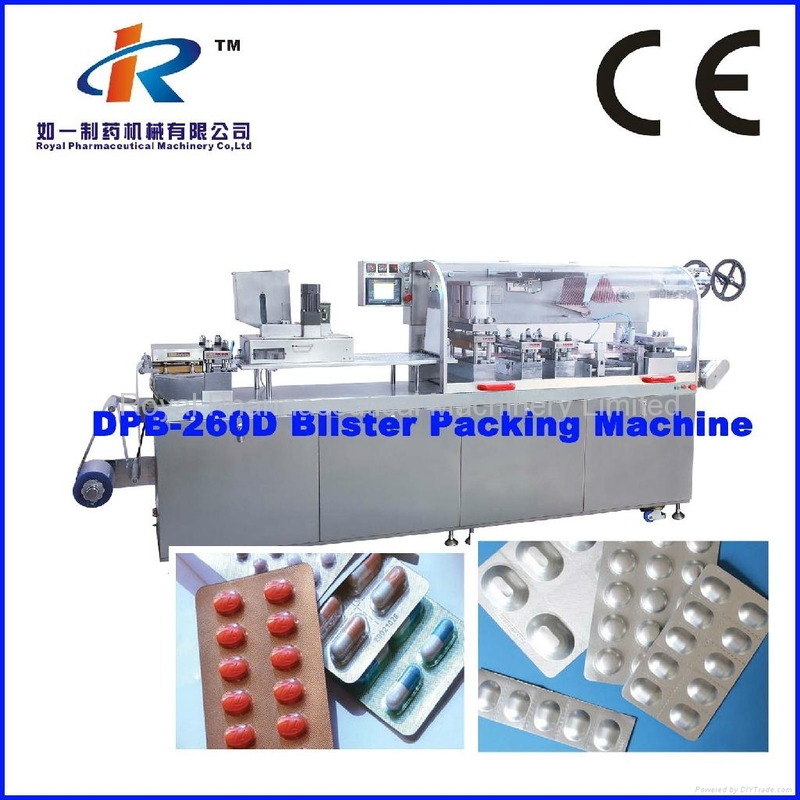 This machine adopts micro-computer PLC, frequency converter, touch panel operation, high automation; it is an ideal blister packing equipment. The product passed the provincial science and technology appraisal. Traction drive by servo motor (traction by precision lead screw or rubber press roller), with precise synchronization. The length of travel range can be set in man-machine interface. Available for Al-Plastic (hot forming) and Al-Al (cold forming), only change mould and feeder for Al-Al packing. Various types of feeder solve the difficulty for irregular shape products packing. line impressing and cutting etc all adopt gear mandrel orientation, each can move freely in the mandrel when rotate the hand wheel, easy to adjust and accurately. Newly mould orientation device speed up the mould changing requirement. Equipped with plexiglass cover: the operation area is isolated with transmission organ, avoids pollution, easy for clean.